2017 can certainly be named a successful year for IT in Ukraine: the number of sales has risen since the pre-crisis period, even more companies have appeared on lists of trusted tech outsourcing vendors, and many name the IT industry as a “locomotive of national economy”. Everything looks bright from the inside, but is it the same from the outside? What does an international outsourcing community think of Ukraine? How is our potential evaluated? 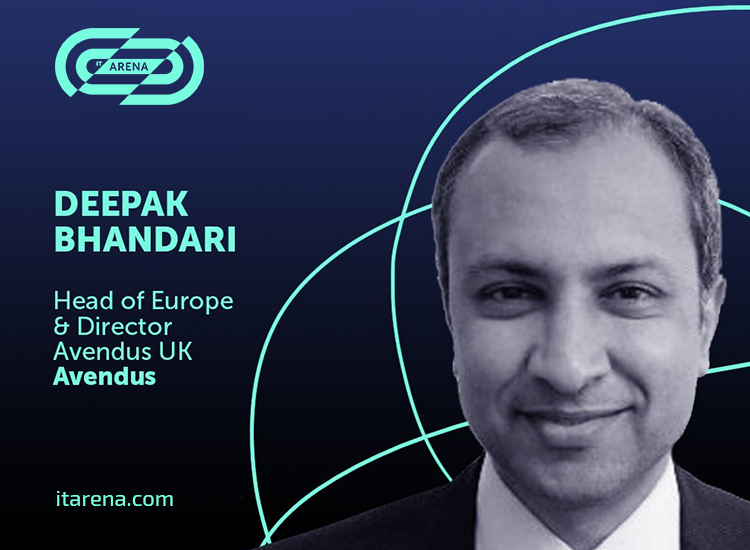 We’ve decided to address these questions to the renowned experts – Kerry Hallard, President of Global Sourcing Organization and CEO at GSA UK and Deepak Bhandari – Head of Europe and Director at Avendus UK, the consulting agency supporting some of the biggest M&A deals on the market. Both Ms Hallard and Mr Bhandari were invited by N-iX, one of the co-organizers of this years’ IT Arena, to speak at the event. The conference is going to take place on September 29 – October 1, 2017 in Lviv. We’ve decided to give you all a preview of the upcoming presentations. Both of you work in the outsourcing industry but in different roles. How often does Ukraine appear in the industry narrative? Deepak Bhandari: From an IT outsourcing standpoint, particularly within the Custom Software Development industry, Ukraine has established itself as a very important destination. There are over 1,000 IT service companies of varying sizes in Ukraine including many large players in the software development space who have established a strong presence in Ukraine. Apart from these, there are 100+ multinational R&D centres located in Ukraine. As such, it is natural that Ukraine figures very frequently in our dialogues as an important destination for IT outsourcing. Kerry Hallard: Ukraine’s profile was just building before the crisis and then, of course, it fell dramatically. Profile is growing again now, but from my experience it’s the individual companies that are building their profile rather than any organisation promoting Ukraine in its entirety. This needs to change. Ukraine needs a unified voice in outsourcing and business services. What is the place of Ukraine on the world outsourcing map? Can it be named as a leader of Eastern European market? Who are our closest competitors? DB: Ukraine is one of the largest geographies within the CEE region with a population of over 40 million people and a large and growing pool of talented STEM graduates. There are over 100,000 IT sector employees and freelancers, which is one of the largest talent pools of IT specialists in the CEE region. It is fair to say that Ukraine is a leading destination for IT outsourcing within Eastern Europe along with some of the other large IT hubs such as Poland, Romania, Hungary and the Czech Republic. KH: Poland is the second largest destination globally for the UK, second to India. In the CEE region we are hearing a lot from Romania, Bulgaria, Hungary and emerging players such as Serbia. Competition is really heating up and newer destinations are taking market share from previously viewed leaders. No country can become complacent. In your opinion, what is the biggest obstacle for outsourcing business development and scaling in Ukraine? DB: Ukraine is already regarded highly around the world for its IT talent – specifically the custom software development talent. Software engineers are highly in demand to the extent that globally there is a shortage of talent. Attracting and retaining talented people is the key challenge for the IT outsourcing industry in Ukraine. KH: The war on talent is the number one issue globally. Despite developing a lot of graduates, none of the countries have been good at developing their middle management and this poses a significant challenge to growth. The profile of Ukraine as a destination also needs improving. ABSL promotes Poland, but who represents Ukraine? Among the tendencies we’re observing right now – the cost of services stopped being the only criteria for choosing a vendor. Before even requesting a proposal, many customers ask questions about corporate social responsibility activities, internal policies, even branding strategies, etc. How would you evaluate company’s culture aspect in winning the engagement? DB: It is true that cost of service is not the only criteria when choosing a vendor. Other factors such as market reputation, specific IT skillsets available within the team, experience of the team and length of employment within the company are all factors that are taken into consideration when choosing a vendor. Culture of a company is defined by factors such as these and hence, it is fair to say that corporate culture does have a bearing on the ability to win client engagements. KH: When outsourcing arrangements fail, in 85% of cases it is due to poor relationship management. Having key people building relationships with the end client is essential to success. It’s all about trust. And having referenceable clients breeds trust. Kerry, you have a decade-long experience of working with outsourcing vendors. Do you remember the first time you listed a Ukrainian company as a trusted vendor? How has the Ukrainian market changed since then? How has the attitude towards Ukraine changed? I believe Softserve was the first company shortlisted for one of our Awards. They were doing excellent work for UK companies but then the crisis happened and they were very quick to diversify their delivery footprint to secure their clients. It is still work in progress, but I believe buy-side companies are reassessing the risk of partnering or setting up in Ukraine, but this has been slow. Players like Ciklum, and N-iX are beginning to win through. Deepak, at IT Arena you will be presenting one of the reports by your company Avendus on mergers and acquisitions in outsourcing. What is the role of Ukraine in it? What are the chances that international outsourcing companies will soon come to Ukraine to incorporate local firms? Do they show such interest already? Or maybe, likewise, Ukrainian companies will expand to the West? As mentioned earlier, Ukraine is one of the largest destinations for IT outsourcing within the CEE region. There are many high quality IT outsourcing businesses in Ukraine which make them attractive for global players. Avendus is one of a very small subset of global advisory firms to have advised on the sale of a Ukraine based IT services business and in a way, we have contributed to attracting a large and highly reputed global player such as Altran into Ukraine. Many other global businesses have established operations in Ukraine. It is clear therefore that there is interest among global businesses to come to Ukraine. Similarly, whether to establish sales offices or to plan effective corporate legal and tax, many Ukrainian companies have already ventured out into other geographies within Europe and also the USA. Some of the Ukrainian outsourcing companies declare their plans to start IPO. How soon do you think it is going to happen? Will this fact affect sales? It is never easy to predict timing of events such as IPOs. However, as you rightly pointed out, there are some high quality Ukrainian businesses that are aspiring to go public. It would be great for Ukraine to have local champions. A publicly listed company does have better visibility, which can help in boosting revenues. What is the future of outsourcing as a service? DB: Enterprises globally are adopting technology to stay competitive. However, limited talent pool of skilled software developers globally is leading to demand-supply imbalances. Scarcity of talent within the IT sector, cost pressures, shorter product lifecycles, faster product upgrades and faster time-to-market pressures will continue to drive growth in outsourcing for the foreseeable future. KH: It is being hugely disrupted. Automation is happening and impacting transactional roles. The FTE model is outdated and there’s a whole new sourcing eco-system emerging. Those providers that can offer flexible, adaptive and collaborative partnerships will excel. Those that don’t will become extinct.